SYSTEM OF A DOWN bassist Shavo Odadjian spoke to KROQ's "The Kevin & Bean Show" on Tuesday (October 9) about the fact that the band has been stalled in its attempts to record a follow-up to its "Mezmerize" and "Hypnotize" albums, which came out in 2005. Asked if he feels that there is a possibility SYSTEM will release a new record in the next few years, Shavo said: "If it was my way, it would be now. But it's not; it takes four to tango… I'm hoping, because we have so much material. We have material for like the last 10, 12 years; we all write. So I personally have a lot, Daron [Malakian, guitar] has a lot, I know Serj's [Tankian, vocals] got a lot, but I don't know if we're gonna be doing it together… I don't know what's going on. I'm hoping, I'm wishing, you know?" He continued: "We still love each other. There's nothing… No one's done anything wrong; no one's angry — it's not like someone's done something to someone and they can't take it back. Nothing like that's occurred. I think it's just an artistic thing." Shavo also addressed the fact that Daron and Serj apparently have diverging visions of what a new SYSTEM OF A DOWN album should be like. "I personally do think about it always, and I can't speak for the rest of the guys, [but] I do think about it," he said. "But I don't hold grudges. I can't do that. But it's hurtful, because I do want to play and I wanna make music and I wanna make a record, and I didn't join a band and I didn't get famous to stop playing music. I wanna play more music. But it is what it is, and we're gonna roll through the punches." He added: "I can't force anybody on stage. I can't force anybody into a studio. I can't force anyone anywhere. And it won't be good for us either. Nothing is good for us [if it's forced]; everything has to come natural and become what it is." Odadjian went on to say that SYSTEM's inner tension has been building for far longer than fans have been aware. "Anything that you've read in the last two years, it's been around for the last ten years," he explained. "It's just now coming out because social media is out there." When one of the hosts joked that the members of SYSTEM OF A DOWN should hire the "psychiatrist" from METALLICA's "Some Kind Of Monster" documentary — referring to "performance enhancement coach" Phil Towle — Odadjian replied: "I've had that conversation. That would be cool — like, maybe someone has to sit in the middle and be, like, 'This is what it means,' and, 'This is what he means.' But it's not like someone has done something. There's no, like, where he could be, 'Oh, he did this for that reason.'" 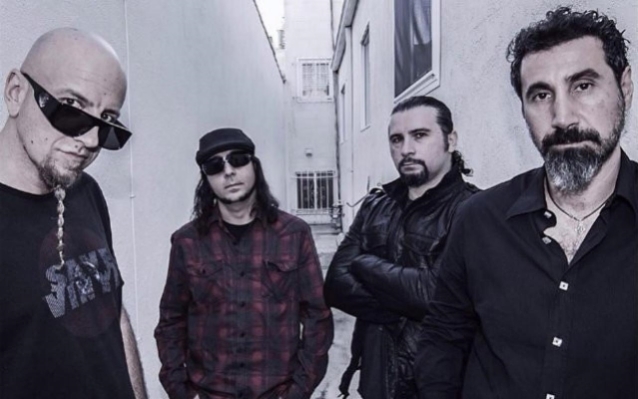 This past summer, Malakian accused Tankian in an interview of not wanting to record, with Tankian responding that creative and financial issues with Malakian led to the stalemate. In a message on Facebook, Tankian wrote that Malakian wanted to control SYSTEM's creative process, take more of the publishing money and be the only band member to speak to the press. Tankian remarked: "As we couldn't see eye to eye on all these points, we decided to put aside the idea of a record altogether for the time being." Tankian told Forbes that the creative process has to "be organic" and "feel right in every way," adding, "There's no law that says a band should be together for a million years and have a million records. Actually, if you look over the years as a musicologist or a fan of music would, in any way, it's probably regressive thinking." As for continuing to perform live with the band, which has more shows coming up this fall, Tankian explained: "We really enjoy it. That's the thing, over all these years, maybe we're better friends because we haven't made a record in 12 years... Over the years, touring here and there, a month here, two months, we've become better friends and closer with each other because of it." Tankian has toured with SYSTEM OF A DOWN over the past few years but has concentrated on solo work, soundtracks and other musical projects. 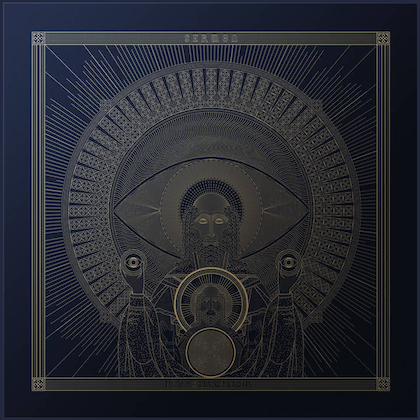 Malakian, meanwhile, issued a new album in July called "Dictator" from his recently revived side project, SCARS ON BROADWAY.